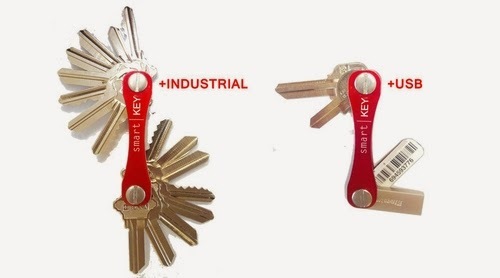 Smart Key finds a new way of keeping your keys in your pocket, without the conventional keyring. Mostly used for flat keys, but can also be used for USB keys. At the moment there are 2 sets one that can hold 4 keys and the other one that can hold 100. This project has been over subscribed on Kickstarter raising to date $124,359 when originally only asking for $6,000. The designer and inventor is Michael Patrick. Have a look at the video for more details.